Since it is launch day for the Intel Xeon D-2100 series SoC family, we have a number of new platform announcements. 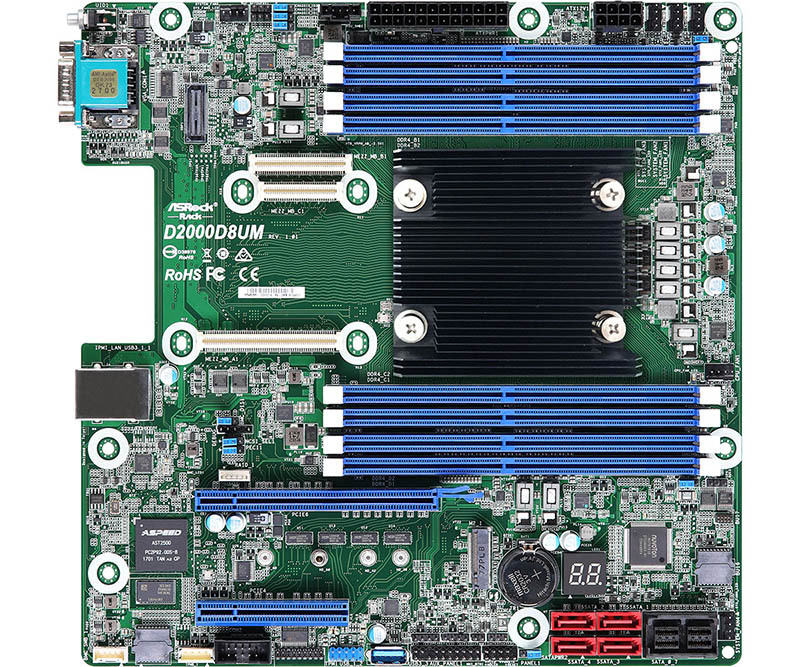 ASRock Rack’s initial offering will center around a mATX platform with a ton of expansion. In this short article, we are going to take a look at the ASRock Rack D2100D8UM Skylake-D platform. One of the key differentiators of the Intel Xeon D2100 series family is that it is designed for compact edge platforms, storage platforms, and networking appliances. At the same time, there is an enormous increase in the platform I/O over the previous generation. As such, ASRock Rack is using the mATX form factor to fully exploit the new system’s capabilities. 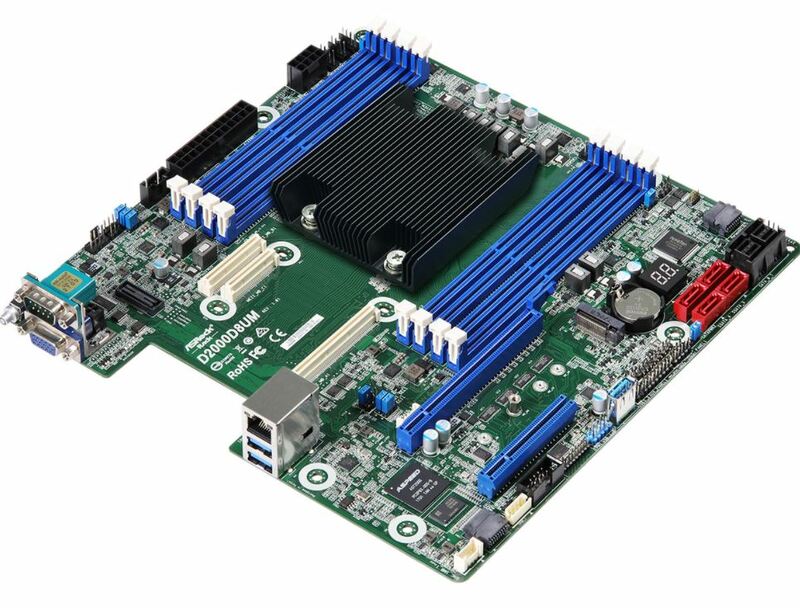 ASRock Rack has one of the only designs we have seen to utilize all eight DIMM slots for DDR4. The company has not just PCIe lanes, but also mezzanine risers for customizing networking options. Here are the key specs from the company. Ostensibly if one orders these in quantity they should be able to select their SoC of choice as they can support up to 110W TDP. Overall this looks like a great platform. If you want to learn more about the new chips check out the Intel Xeon D-2100 series launch coverage central. In the bullet points on the product page it says up to 512GB RAM, the spec list however states 128GB, which is it? Jesper – are you comparing a DIMM size with total capacity? Thats why i got confused i guess. So on this SKU the right specs are 512GB total system capacity and 128GB max per dimm? It has 8 slots, not 8 channels.